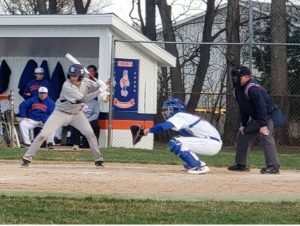 Gavin Charvet had two hits and Parker Ellifritz had a triple as the Cats fell in the opener. Game two was called due to darkness in the top of the sixth inning resulting in an Eddies win. The Cats got two hits from Jalen Heivilin, Gavin Charvat and Luke Stasuik while Parker Ellifritz, Bryce Morlan and Carter Minger each had hits.